Christine: Greetings! I have had a telepathic communication with the Master Jesus this morning. With regard to an article saying that a Pindar of the Cabal who worked for MI6 surrendered to the Forces of the Light, the Master Jesus said that it is true and he is not the only one, but this is not the global removal of the interference from the forces of darkness that has been forecasted for this summer. The Master Jesus gave me an nderstanding that the battle that has been going on between the forces of the Light and Darkness has produced results of this kind, gradually, over some decades and particularly recently, for we are in a period of great achievements though the planet is being shaken to its core. There still are interferences taking place that are being initiated from the Astral plane. The dreams that have been mentioned in previous messages which the dark ones create artificially, or synthetically, and insert into the minds of people to disturb them psychically, have not ceased totally, but the degree of their nastiness has been lessened. These forces of the Dark seem to act to the degree that they think they are allowed to by the Laws that the Forces of the Light impose upon them. They seem to devise ways by which they think they can still cause harm without a transgression. They have a long history of karma or Law dodging, but the answer to that is that mankind has to gain a momentum of light so the scales tip in its favour to allow further intervention, or so this kind of thing is prohibited to the point that, if it is done, it will bring about the Judgment and removal of those beings. It has been prophesied for this summer but there is hope that some dark beings can be changed. In the meantime, a certain disentanglement is being carried out by the Forces of the Light to liberate some beings on the astral plane, as well as in embodiment, from their tie to the dark forces, or whatever represents a psychic imprisonment that may be the result of their own doings in the past, and in the case that they are souls with the threefold flame connection, even if almost extinguished, the Almighty has the merciful desire to liberate them, to make them change their views so they turn around and surrender. The Master Jesus also gave me a vision when I said it would be nice if we could dwell in a world that is made of love and of the feelings I experience when in communication with him or the other Masters, or Archangels. He reminded me that the Cosmic Plan was formed 25 million years ago for the Divine Will to manifest and it is to lift up the souls of this world and beyond, to a higher level of physicality. He said the figure of 25 million years is correct because I had wondered if I had it right previously. It was when some wars started in the Galaxy due to the destruction of worlds by the Reptilian forces and when Archangel Michael took the initiative to create what might be called a Resistance Movement. It was not welcome by all of his contemporary forces, and at one time an Alliance of 250 nations was first formed, and it was what preceded the founding of the Galactic Federation of Light 4 million and a half years ago. This is the time given for it by Sheldan Nidle in his work ‘Your First Contact’ published in 2000. It was when I was reading it that Archangel Michael came to me in 2015 and gave me a dictation that I took down in writing, just as most of the others I have received so far. Archangel Michael confirmed to me the story regarding the Prophecy that the Earth was the planet which would play a key role in the Great Plan, or Divine Will, to bring the ancient war between Light and Dark to an end. However, in those primordial days, no one, except the Angelic kingdom, knew where this planet was, or even in which System it was in this Galaxy. Furthermore, Archangel Michael gave me an understanding of the greater context of the story, of the Divine Will, to raise the entire material universe to a higher octave, or dimension, at the same time as preserving the aspect of physicality, in the grand Armageddon of the psyche that would most of all overcome the Dark, and this is because there is no equality between Good and Evil. Evil appeared as a result of a degradation, loss of vision, or separation from Source or Spirit, or the I Almighty I Am. We are now recovering this vision. We are being raised up. Having won the battle through the overcoming of the Dark and Armageddon of the psyche, we become Christed beings. We integrate Christ consciousness and this is an achievement that will make it impossible for us to ever be subject to a fall into the ways of darkness as a collective, or as an individual. This is the experience that we gain, but the forces that consciously oppose the Light have to bend the knee and surrender to it, otherwise when their time is up, when it is the time for the biblical symbolic Harvest, they will be taken and removed, and sent for Judgment to the Judicial Court of Saturn, and there, the scales will reveal what is to be their fate, whether they can continue upon another material world, or whether their darkness is too great, in which case they will have to undergo the recycling of their psyche which is called ‘the second death’ because it is that of the soul. For the message relating to the Prophecy and our Galactic History, please hear the video entitled ‘The Prophecy’ which is a message from Archangel Michael and is very important to appreciate what is really happening at the present time. Master Jesus reminded me of the greater context for what is going on today and which reveals that the political battles for the American Elections are but the top of an iceberg that are supposed to result with a first step towards mankind’s liberation from the Dark Cabal’s anarchy. They have caused an outrageous decline in the quality of life on the planet. They have infiltrated the governance and their Establishment is the temporal power of the forces of darkness. Their agenda is to exercise a complete tyranny and control over mankind and to sabotage the plan of Ascension as well as all projects relating to the Divine Will. This sinister force has reached out from the Astral plane, through their embodiments upon the physical plane, to exercise their dominion. In Britain there is a movement campaigning for the nation to divorce itself from the European Union because it has awakened to the fact that it appears to seek total control. This dark web actually is the Old Black Magician Atlantean Order that has risen again. By these terms I mean an Order that practiced black magic during the Atlantean era. Names and faces are but masks for the same evil, as David Icke has stated, and its origin was explained by Mother Mary in the message on why Archangel Michael fashioned his sword of blue flame at the time the souls of Maldek were cast on earth. The project of Ascension had to be aborted during the Atlantean Age and the Atlantean Illuminati Order opposed the Melchizedek, or Righteousness, movement. The Cabal of the Atlantean Age caused the downfall of civilization as well as the cataclysms which resulted with the sinking of the last large Atlantean Island, Poseidonis. Following these last events which took place in about 10,500 BC, the souls of mankind reincarnated in bodies with a smaller spectrum of consciousness, so that the psychic abilities which had been misused during the Atlantean age would not reappear prematurely, or before the final days. The so-called ‘End Times’ in biblical prophecy only allude to the end of evil. We have come to them and this is why what appears to be going on upon the stage of the world looks so bad. The forces of darkness are however fighting a battle for supremacy and domininion which they cannot win. It is important to remember that we are living in the period of the biblical Harvest, which is one of the separation of realities. The finishing line is in sight, so is the light at the end of the tunnel, because the evil interference has been prophesied for this summer, and the third wave of souls that is to ascend to the 5th dimension, in terms of how they are able to resonate with the Light and in terms of their perception, points of view, and the reality they can experience. They will be reaching that level of consciousness which a first group of souls attained as they rode the crest of the wave of Light of September 28, 2015, and a second group in March 2016. Jesus via John Smallman – You are all Powerful Divine Beings who have Momentarily Forgotten Who You Are! Truly you can have no idea of what is coming to greet you. 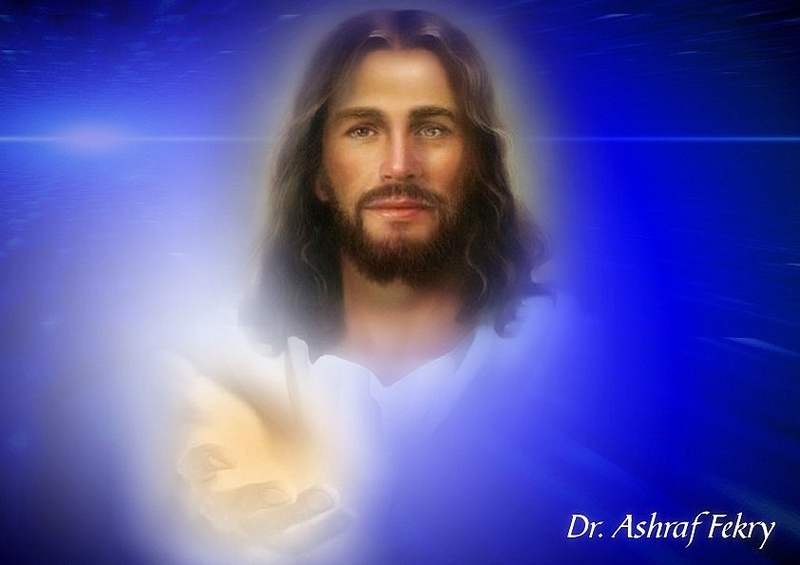 Jesus Christ – Teachings – A Course in Miracles. Dear my master and saviour LORD King JESUS Christ and every ascended Masters and co-workers in the A to Z Company to execute all divene plan must happen to day because Iam using my full God given or Creators Ascension Conscious Experiences. Year 2013 as passed. According to the ancient philosophy of the Mayans, Egyptians and God conssciousness – The Numbers revealed in 2013 are the critical factors relating to CO CREATION and the connection to the Universal Mind. In other WORDS …. OH! MY GOD – IT’S ME. Yes, and today all the divine happening must fully happen now in the high government places in the highest authority as of today the date set for divine execution 27 September 2014 right here in the Nation of Papua New Guinea in the Land of Lemuria call MU. We must experience and must go through enormous change. Primarily we are begining to see the collapse of many familiar systems we take for granted on a daily basis as they are not working within the rules of true empowerment – LOVE. A Number of these systems have already commenced their disintegration and breakdown process because time is ripe and choosen and elect ones as stood their grounds to see the re-creation process to begin again. We are having the Universal mind set to execute all to happen by working hand in and and after all we are spirit beings fulfilling the divine density. Amen & Shalom Sabbath Salamat Jah Indeed. I’m so grateful to find Jesus through someone to communicate with me. It’s important and need to know who I am and why we are here on mother earth. And what can I do to help make it better for us and the planets. Please if this what it takes to get archangel Michael attention. I am asking him to come and see me to guide me to fulfill the missions. I am here and use me for purposes. Thanks for bringing my attention to you. Love you very much.